An alumnus broke records at the University of Maryland on Wednesday when his foundation gifted the institution with $220 million dollars. The A. James and Alice B. Clark Foundation’s donation, the largest in the university’s history, will fund need-based scholarships, graduate fellowships, distinguished faculty chairs and operational and capital projects, according to a university statement. Loh described the donation, referred to as “Building Together: An Investment in Maryland,” as a partnership between the public and private sectors. 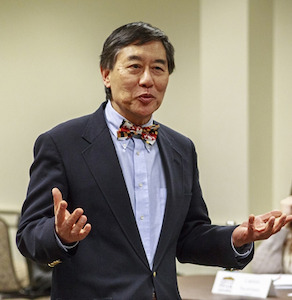 The funds will help launch a program that “engages the philanthropic community” and “aims to generate a $100,000,000 fund for need-based scholarships.” Loh added that the money will be used to build state-of-the-art facilities and strengthen education, research and innovation. A. James Clark was an engineer, businessman and philanthropist who died in 2015 at the age of 87. He was a 1950 graduate of the University of Maryland whose education was made possible by scholarships. The Associated Press reported on Wednesday that Clark hitchhiked between home and school because he could not afford room and board. Clark, who earned most of his wealth through his construction business, has a history of investing in the University of Maryland, especially the engineering program named after him. He had made similar donations to universities across the region such as Johns Hopkins University, where he built Clark Hall, and George Washington University, where he founded the A. James Clark Engineering Scholars program.